Late last year, Bethesda announced that the ill-fated Fallout 76 would be skipping Steam in favor of an exclusive release through their Bethesda.net store. 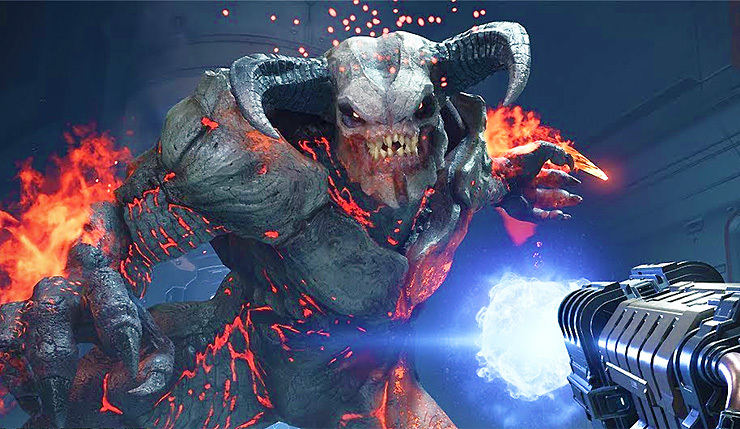 The publisher further hinted that future games like Doom Eternal and Rage 2 may be Bethesda.net exclusives as well, which, unsurprisingly, didn’t sit well with some fans. Well, you can breath a sigh of relief Steam lovers – it seems the Bethesda.net PC exclusivity experiment is officially over. Today Bethesda announced that all their major upcoming games, including Doom Eternal, Rage 2, Wolfenstein: Youngblood, and Wolfenstein: Cyberpilot will be available on Steam. Also, not that anybody’s really asking at this point, but Fallout 76 will also be released on Steam later this year. This has to be seen as a major victory for Valve’s platform in their increasingly heated battle with the Epic Games Store. At GDC 2019, Epic announced a variety of major exclusives, including The Outer Worlds, Control, and Dauntless, although Bethesda’s lineup is arguably bigger than any of those games. It will be interesting to see if the increased competition brings more big publishers to Steam and/or Epic – could we perhaps see some Blizzard games on Steam? A greater selection of EA titles, perhaps? We’ll just have to wait and see. Of course, just because Bethesda has returned to steam doesn’t mean they’re shutting down their Bethesda.net store. In fact, Bethesda is offering a free copy of The Elder Scrolls III: Morrowind through their store, for today (March 25) only. Enter the code “TES25TH-MORROWIND” in Bethesda’s launcher to get your free game. Rage 2 rampages onto PC, Xbox One, and PS4 on May 14. Meanwhile, Doom Eternal and Wolfenstein: Youngblood arrive sometime this year.